It is said that all art aspires toward musicality, and no form comes closer than film. 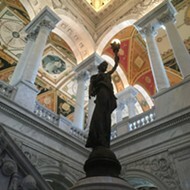 The linear flow of moving images naturally mirrors the aural motion of music. When the sound era dawned, the very first thing filmmakers did was turn their cameras on Al Jolsen and let the music do the talking. Perhaps because of the two media's similarities, many directors are also musicians. Such is the case with Martin Shore, a drummer from San Diego who toured with Cody Dickinson's Hill Country Revue. Shore's day job is as a film producer, and Take Me To The River, his directorial debut, is the latest music documentary to take on the question, "What makes Memphis music so special?" Guided by North Mississippi Allstars' guitarist and son of legendary Memphis music producer Jim Dickinson, Shore gathers a who's who of Memphis music legends together to make a record while the cameras roll. The problem facing the directors of all music documentaries is how to balance the story and the music. It's a simple problem of arithmetic: Unless you're Martin Scorsese and HBO gives you three hours to tell George Harrison's story, you have a limited amount of time to work with. Without the music, it's hard to care about the story; but give the story short shrift and you lose the reason the audience is there in the first place. In Take Me To The River, Shore errs on the side of the music, and this is probably wise. The epic sweep of the Stax story has already been told in Robert Gordon's Respect Yourself, so Shore constructs a series of vignettes from footage of the recording sessions interspersed with interviews with the musicians. This approach makes for some magical moments. Al Kapone chats with Booker T. Jones as the legendary keyboardist drives his van around town. The Hi Records backup singers the Rhodes Sisters recall how Willie Mitchell used to exclaim "God the glory!" when they hit a note he liked. Frayser Boy, who wrote the Academy Award-winning flow for "It's Hard Out Here For A Pimp" admits to Skip Pitts, who played guitar on Isaac Hayes Academy Award-winning "Theme From Shaft," that he has never recorded with a live band before. Pitts refuses to even look at a chart before launching into the Rufus Thomas song "Push And Pull." The magnetic and eternally young Mavis Staples changes the song at the last minute, and then soothes her collaborators' nerves with a few well-placed smiles and a stunning vocal performance. William Bell tells the story of David Porter writing "Hold On I'm Comin" while an amused Porter looks on. 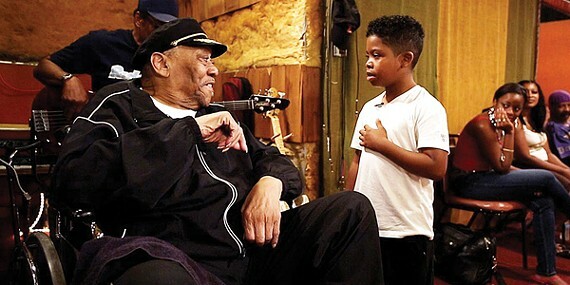 Narrator and Hustle and Flow star Terrence Howard becomes completely overwhelmed by emotion after recording with the Hodges brothers, including a frail looking Teenie. 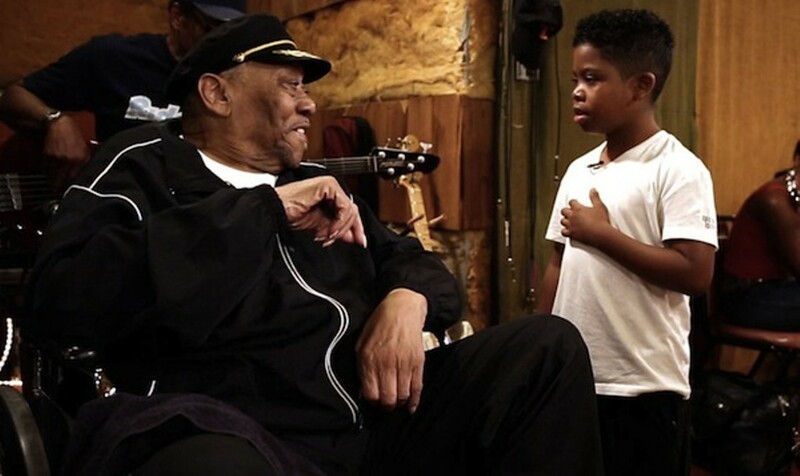 Bobby Blue Bland teaches Lil P-Nut to sing "I Got A Woman." And finally, Jerry Harrison of the Talking Heads produces a session with Snoop Dogg and the Stax Academy Band pulling together more than a dozen musicians to cut "I Forgot To Be Your Lover" in less than 30 minutes. It's fun to be a fly on the wall in these recording sessions held in historic spaces, and the camaraderie and respect between the players is evident. The talent, discipline, and instincts on display are amazing, because, as the indomitable Deanne Parker says, these musicians came of age in a time when "we didn't have any technology to make you sound better." Take Me To The River never answers the question of why this city produces so much great music. But then again, no one else has ever been able to put a finger on what Charlie Musselwhite calls "that secret Memphis ingredient you can't write in a book." Take Me to the River is not showing in any theaters in the area.